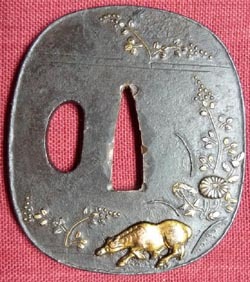 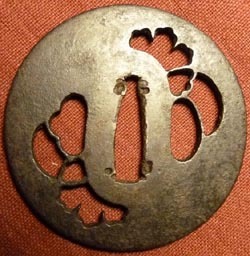 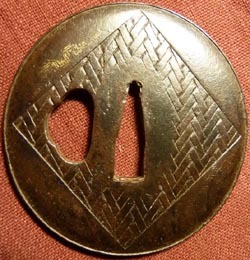 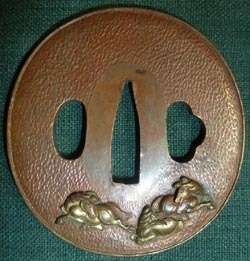 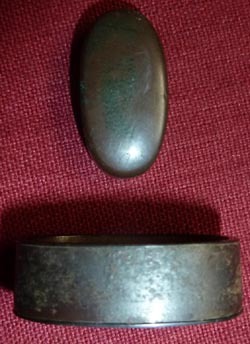 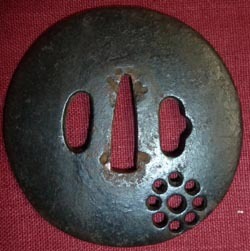 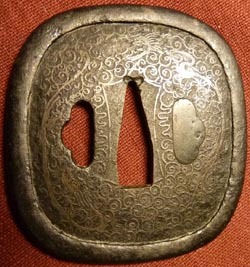 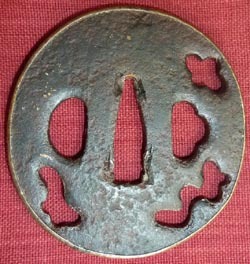 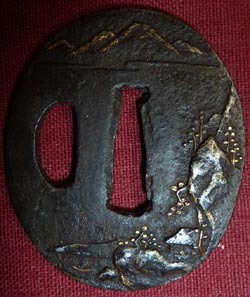 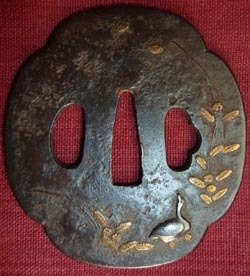 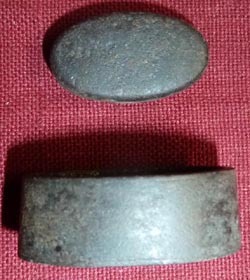 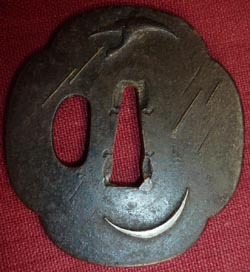 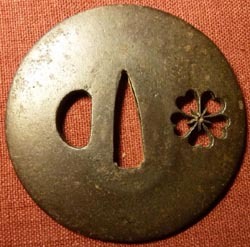 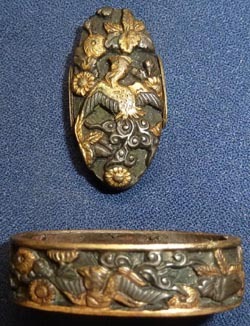 This is a nice Mokko shape iron Tsuba with a very nice design of a Fat Goose. 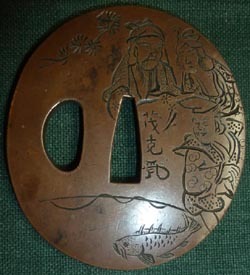 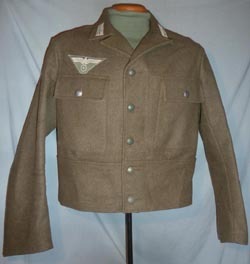 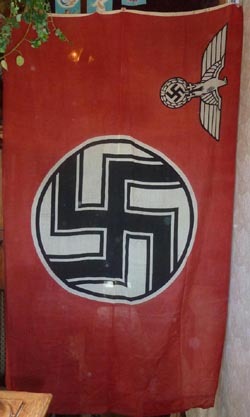 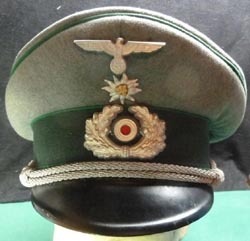 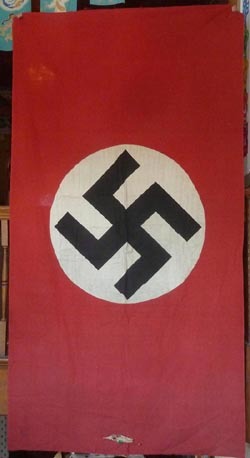 It measures 70 mm wide x 75 mm tall x 3 mm thick. 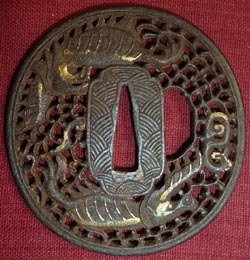 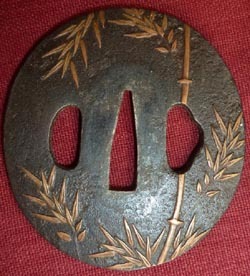 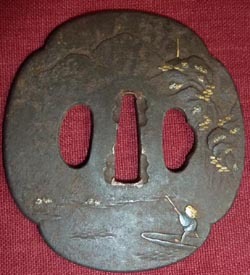 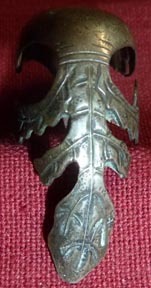 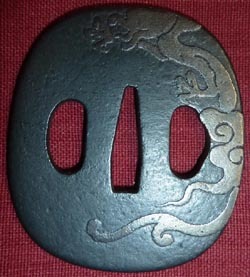 This is a nice iron Tsuba with a very nice Bamboo design. 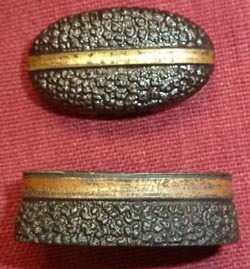 It measures 64 mm wide x 69 mm tall x 4 mm thick. 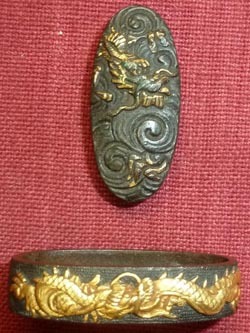 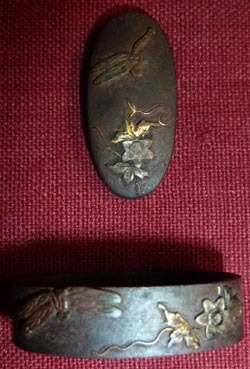 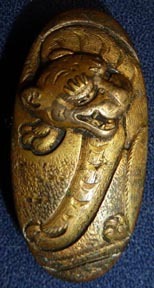 This is a super-nice Fuchi in dark Shakudo with gold Kiri Mon applied. 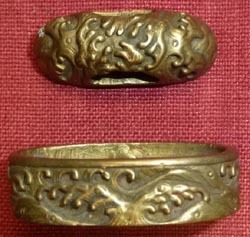 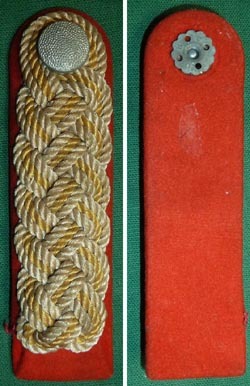 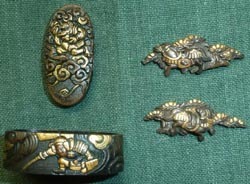 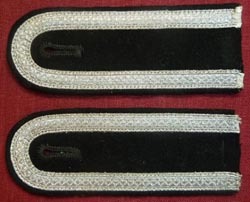 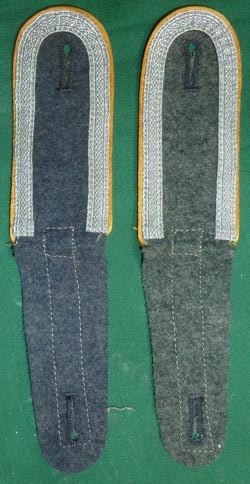 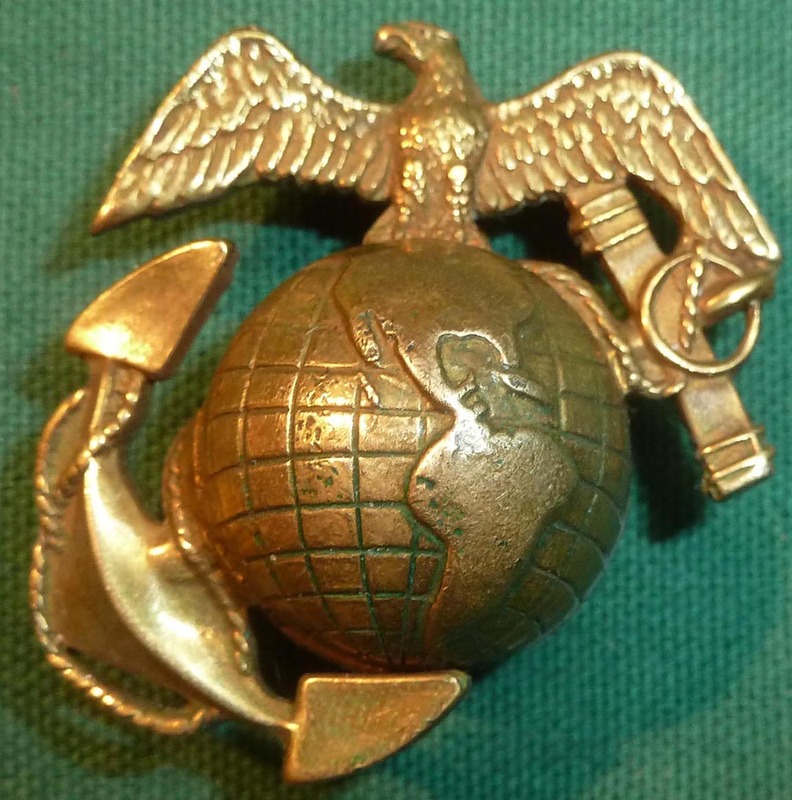 Outside measurements are 36mm x 22mm x 8.5 mm tall.